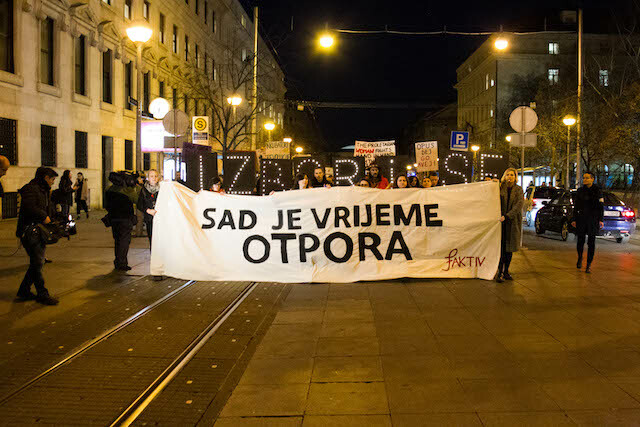 On March 8, we walked the streets of Zagreb with the Night March, commemorating International Women’s Day. 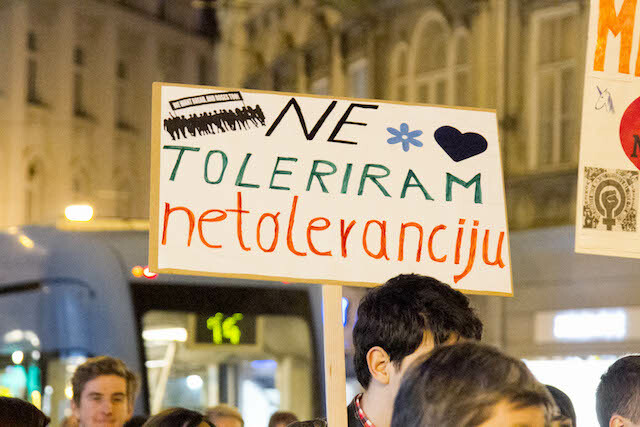 The route of the march was already quite familiar to all of us — it was the route of Zagreb Pride marches, and pride was indeed once again flowing through the city centre. A few thousand protesters defiantly marched to show the government that we will not stand aside while reproductive, social and labour rights of women are being endangered in Croatia, while gender equality is just a “dead word on a piece of paper”, and violence against women a part of our everyday lives. The Night March was organized by the feminist collective ‘fAKTIV’ — a fresh initiative of mostly younger volunteers and feminists which took on a very challenging task — to bring back the politics of disobedience and activism into the celebration of women’s day. They courageously showed that women will not be silenced or frightened by the conservative attacks on their own bodies and rights. Although it was first held only last year, it seems as though the Night March has been part of Zagreb’s public life for years. This is mostly the result of an excellent communication campaign and organization of the march. A relatively small group of fAKTIV’s volunteers, with the solidarity and help of the rest of the feminist and activist scene, and a small financial aid from the Foundation of Human Rights and Solidarity, managed to mobilize, by some accounts, over 5000 citizens. Despite an already well established women’s movement and numerous feminist NGO’s in Croatia, the girls from fAKTIV dominated the stage completely when it came to commemorating March 8. They showed us once again the importance of grassroots organization, innovative means of communication and recognition of the most critical problems of the sociopolitical moment. 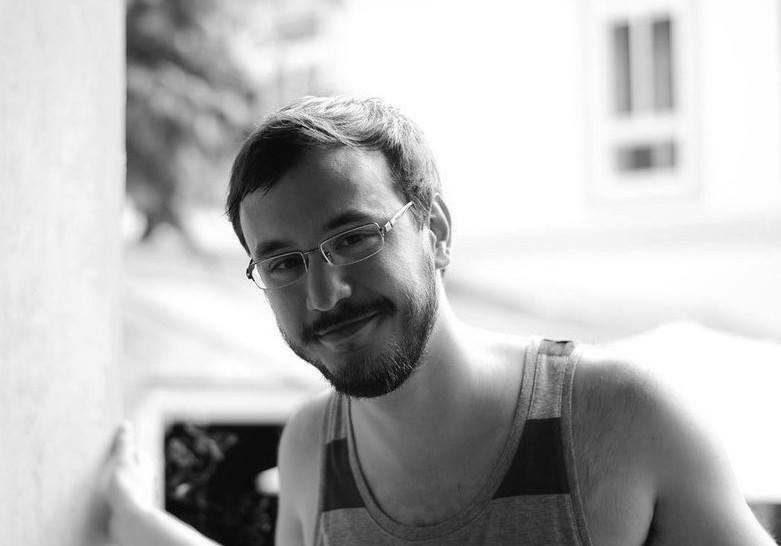 The March itself was preceded by a thorough and consistent wave of calls to action and resistance among social advocates and activists online. The Night March was announced in almost all nonprofit, and several for-profit news portals, while numerous creative and humorous gifs, photos and quotes spread on Facebook like wildfire. 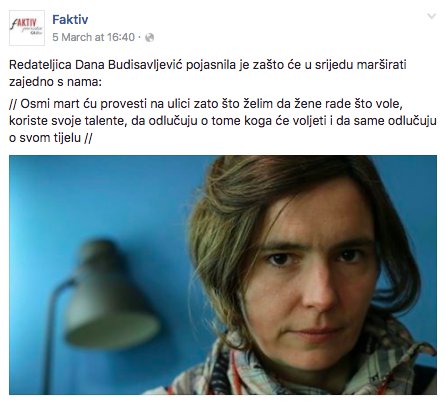 Several Croatian celebrities also used their status to give a louder voice to the pre-protest campaign. fAKTIV created fanzines, brochures and held a banner workshop for the march. Some of the slogans included: ‘Neither God nor State Goes Near my Ovaries’; ‘Now is the Time to Resist’; ‘Fight like a Girl’; ‘A Woman, a Mother, a Worker’, etc. The activist atmosphere was also fueled by the drumming collective ‘Drum ‘n’ Rage’ and the lesbian-feminist choir collective ‘Le Zbor’ which traditionally sings antifascist classics and helps entertain the crowd at most progressive protests. The organization of the Night March demonstrated once again that the seriousness, anger and defiance of a political protest and active resistance is still an important and appealing tone of communication. Getting flowers, hugs and kisses remains secondary to women when their rights are threatened, as one slogan put it. Joining this year’s Night March only left us with a desire for more. We can only hope for a bigger and better one next year, and to all of you out there: look up to both fAKTIV and the Night March as an example of how much can be done on short notice, but with plenty of heart, soul, effort and solidarity.